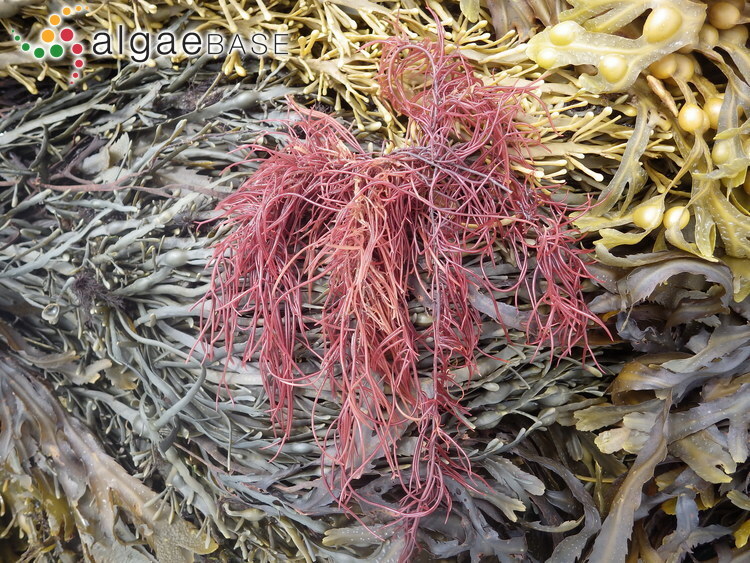 Newtons Cove, Weymouth, Dorset, England; intertidal. 12 Aug 2014. Carol Fenwick. © David Fenwick. This is the type species (holotype) of the genus Solieria. Type locality: In mari Gaditano, unde specimina miserunt Cabrera & Heredia. [Cádiz, Spain] (Agardh 1822: 189). Adjective (Latin), ?like rope, catgut ; from ‘chorda’ (Lewis & Short 1890). Guiry (1997) notes this may be an introduced species in the British Isles. 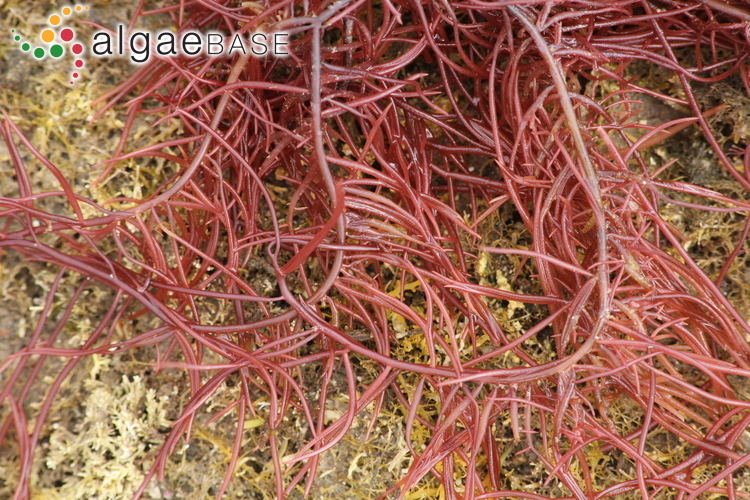 English: Solier's Red String Weed (Bunker et al. 2010). Accesses: This record has been accessed by users 4894 times since it was created. Bedoux, G., Hardouin, K., Marty, C., Taupin, L., Vandanjon, L. & Bourgougnon, N. (2014). 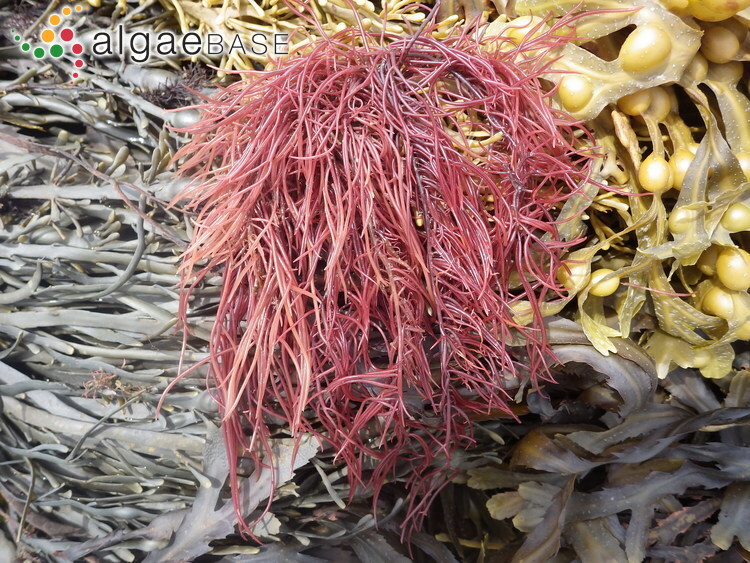 Chemical characterization and photoprotective activity measurement of extracts from the red macroalga Solieria chordalis. Botanica Marina 57(4): 291-301. Bondu, S., Cocquempot, B., Deslandes, E. & Morin, P. (2008). Effects of salt and light stress on the release of volatile halogenated organic compounds by Solieria chordalis: a laboratory incubation study. Botanica Marina 51: 485-492. Bondu, S., Kervarec, N., Deslandes, E. & Pichon, R. (2009). The use of HRMAS NMR spectroscopy to study the in vivo intra-cellular carbon/nitrogen ratio of Solieria chordalis (Rhodophyta). 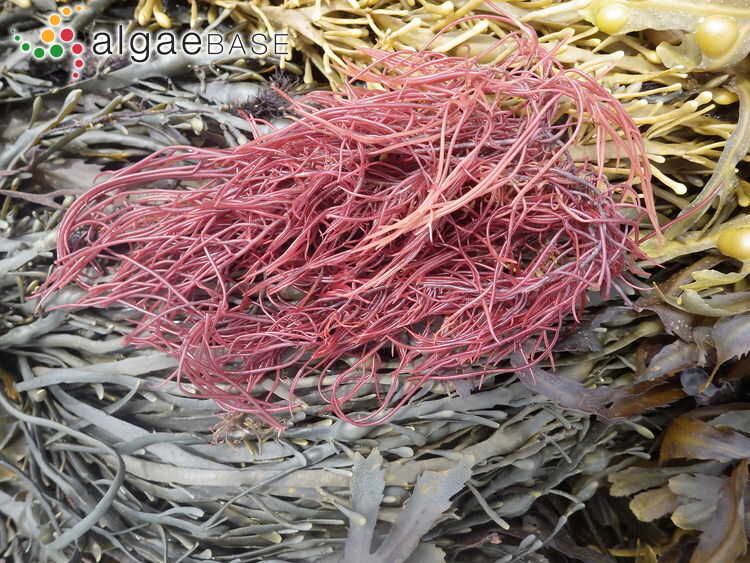 Proceedings of the International Seaweed Symposium 19: 223-229, 3 figs. De Masi, F. & Gargiulo, G.M. (1982). Solieria chordalis (C. Ag.) J. Ag. 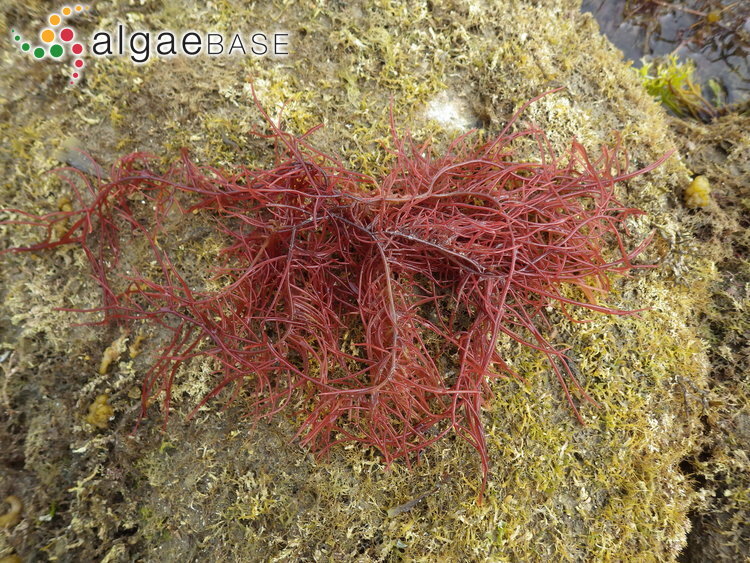 (Rhodophyta, Gigartinales) en Méditerranée. Allionia 25: 109-111. Deslandes, E., Floc'h, J.-Y., Bodeau-Bellion, C., Brault, D. & Braud, J.P. (1985). 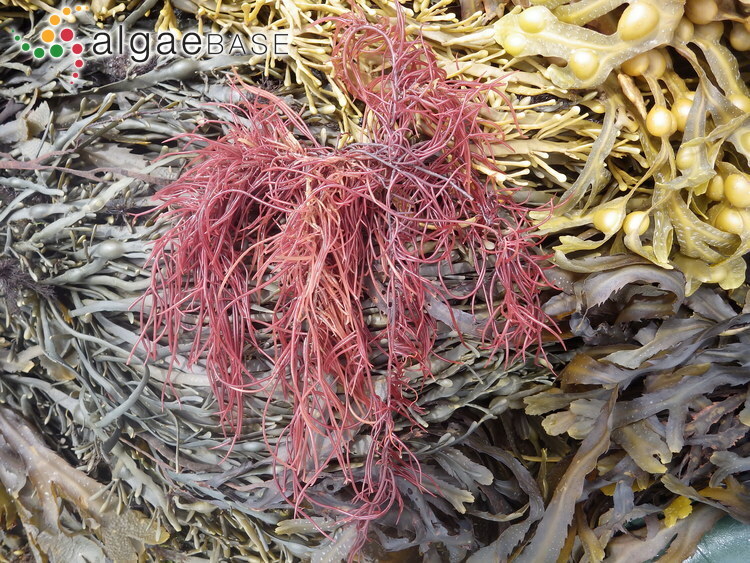 Evidence for (iota)-carrageenans in Solieria chordalis (Solieriaceae) and Calliblepharis jubata, Calliblepharis purpureum (Rhodophyllidaceae). Botanica Marina 28: 317-318. Fournet, I., ArGall, E., Deslandes, E., Huvenne, J.-P., Sombret, B. & Floc'h, J.-Y. (1997). In situ measurements of cell wall components in the red alga Solieria chordalis (Solieriaceae, Rhodophyta) by FTIR microspectrometry. Botanica Marina 40: 45-48. Fournet, I., Zinoun, M., Deslandes, E., Diouris, M. & Floc'h, J.Y. (1999). 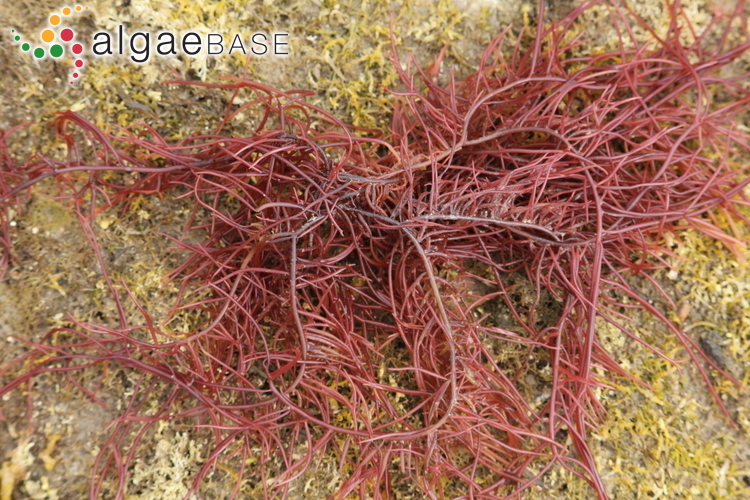 Floridean starch and carrageenan contents as responses of the red alga Solieria chordalis to culture conditions. European Journal of Phycology 34: 125-130, 4 figs, 2 tables. Gall, E.A., Cornec, L. & Deslandes, E. (2008). 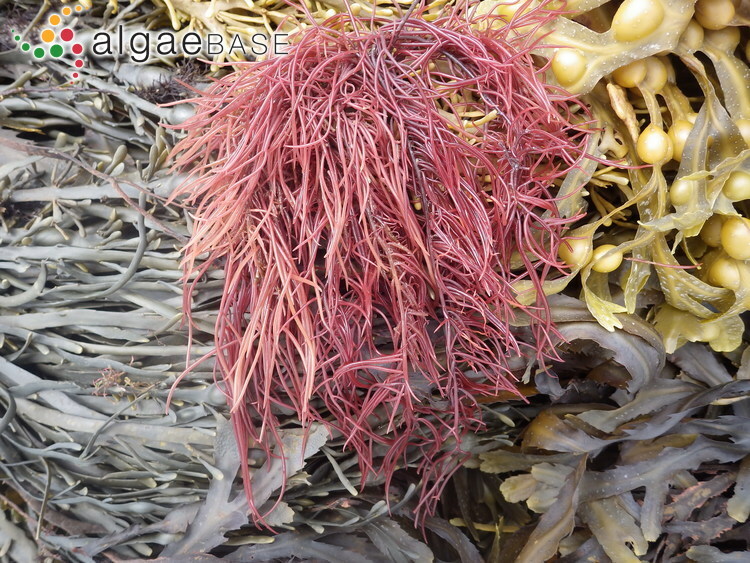 Oligocarrageenans and tissue-dependant oxidative burst in Solieria chordalis (Rhodophyceae, Gigartinales). Phycological Research 56(1): 1-67. Goulard, F., Diouris, M., Deslandes, E. & Floc'h, J.-Y. (1999). Nucleotides, nucleoside sugars and UDP-glucose-4-epimerase activity in the iota-carrageenophytes Solieria chordalis and Calliblepharis jubata (Rhodophyceae). European Journal of Phycology 34: 21-25, 4 figs, 1 table. Goulard, F., Diouris, M., Deslandes, E. & Floc'h, J.Y. (2001). An HPLC method for the assay of UDP-glucose pyrophosphorylase and UDP-glucose-4-epimerase in Solieria chordalis (Rhodophyceae). Phytochemical Analysis 12: 363-365. Goulard, F., Diouris, M., Quere, G., Deslandes, E. & Floc'h, J.-Y. (2001). 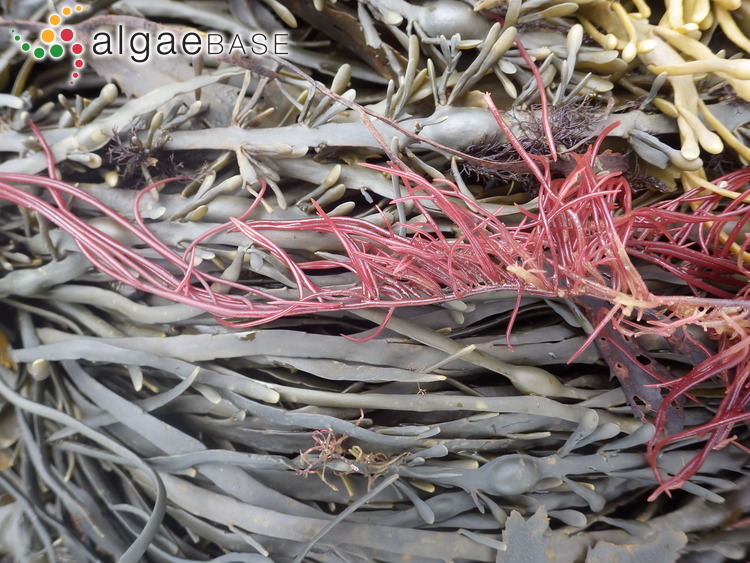 Salinity effects on NDP-sugars, floridoside, starch, and carrageenan yield, and UDP-glucose-pyrophosphorylase and -epimerase activities of cultivated Solieria chordalis. Journal of Plant Physiology 158: 1387-1394. Goulard, F., Le Corre, G., Diouris, M., Deslandes, E. & Floc'h, J.-Y. (2001). NDP-sugars, floridoside and floridean starch levels in relation to activities of UDP-glucose pyrophosphorylase and UDP-glucose-4-epimerase in Solieria chordalis (Rhodophyceae) under experimental conditions. Phycological Research 49: 43-50. Goulard, F., Pondaven, P., Diouris, M., Deslandes, E. & Floc'h, J.Y. (2003). Partial purification and characterization of UDP-Glucose-4-Epimerase from Solieria chordalis (Rhodophyceae). Botanica Marina 46: 107-111. Rogers, D.J. & Topliss, J.A. (1983). 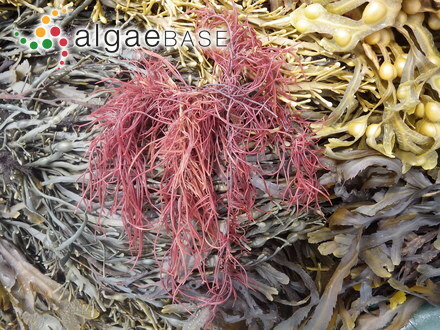 Purification and characterisation of an anti-sialic acid agglutinin from the red alga Solieria chordalis (C. Ag.) J. Ag.. Botanica Marina 26: 301-306.